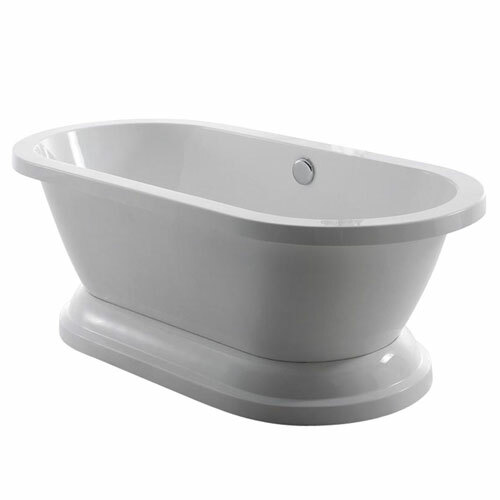 69-inch double ended pedestal tub is constructed of a high quality acrylic material. This allows the tub to be moved easily without the concerns of conventional cast iron bathtubs. The double ended styling of this tub allows one to fully lay back and enjoy either end of this acrylic tub. With no faucet drillings, choose to install either a freestanding or home wall-mounted tub filler. Pedestal base has built in adjusters for use on uneven floors.